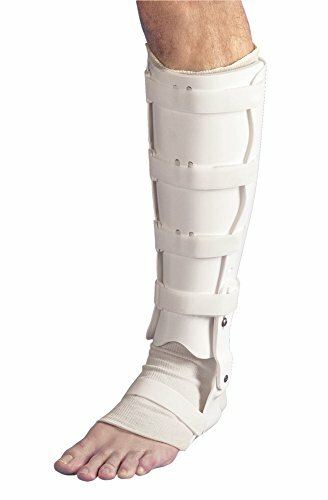 AliMed Tibial Fracture Orthosis (Standard) (TFO) with Shoe Insert for diaphyseal fractures of the tibia and fibula. Two-part anterior/posterior enables full motion of the ankle and knee joints to help prevent stiffness. Complete with a double-axis shoe insert for suspension and M-L support. Sizing: Measure circumference at largest part of calf. Medium: 13" - 15" circ., 17-1/2" - 18-1/2" length. RIGHT.